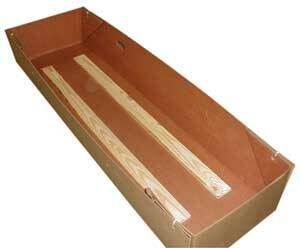 Wood based simple viewing casket. This easy to assemble tray provides an economical yet substantial looking viewing container. Serves as a distinctive stand alone Viewer for cremations. 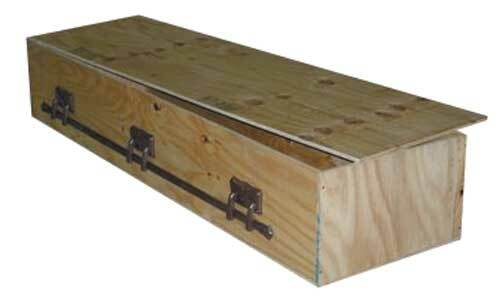 Available as a Rental Insert that fits most caskets, complete with interior liners. Makes a great Deluxe Cremation Tray. Ships with the bottom completely assembled, easy assembly for one-piece top. Top can be fully enclosed or at half opened position. Perfect multi-purpose product made 100% from corrugated material. Made with our unique leak resistant design and coating, with Gun metal Gray finish. A durable container of polypropylene plastic designed for confident shipping and handling. Provided with a 4 ml. Plastic bag and tie, holds over 220 c.i. of remains. A Strong 275 lb. 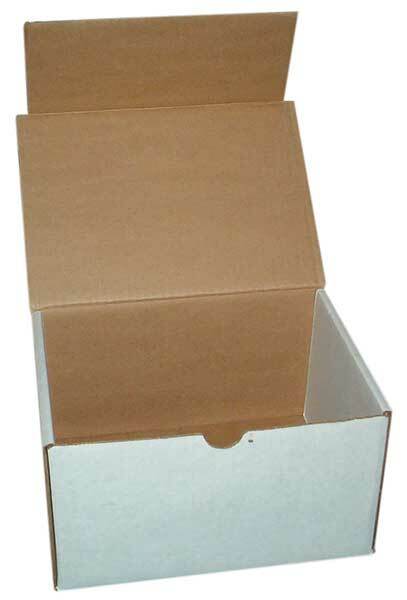 Test corrugated container. Designed to hold 245 c.i. or more. 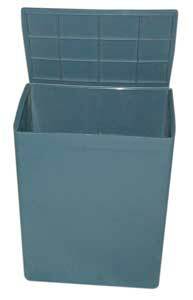 These sturdy mail-able containers accommodate most "Gray Boxes" or can be used with the supplied 4 ml. thick plastic bag provided with a cable tie. A "Truly Temporary" container. The use of a more dignified urn is encouraged. 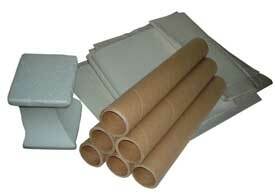 Sturdy high quality cardboard cremation rollers. Special recycled inner core designed to increase strength and provide complete roller disintegration. Extra length of 18" and diameter of 2 1/2" provides easy loading of any cremator. An inexpensive way to extend the life of your refractory hearth. 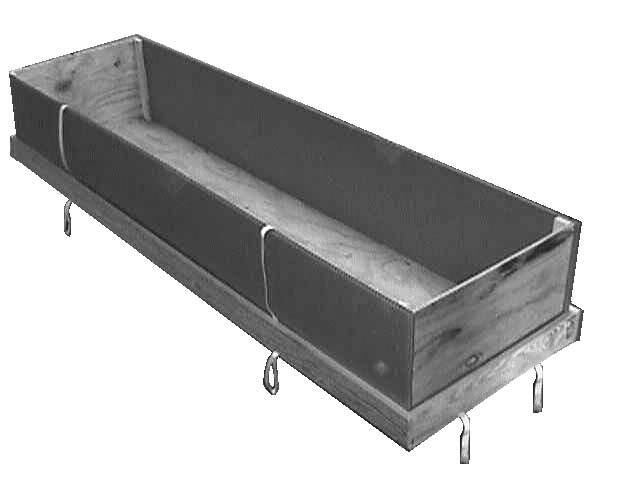 An inexpensive, disposable block for stabilizing remains for ease in embalming or shipping. Adjustable position to four heights. A large 40" x 90" disposable sheet constructed with three layers of absorbent paper and backed with a non-leaking polypropylene sheet. Saves on linen upkeep and loss. Priced below most 2-ply disposable sheets.